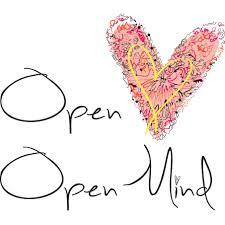 So for the past three months I have been trying to live life by the motto of open heart, open mind. I want to embrace every opportunity that is presented to me and explore it without hesitation. I believe things have been put in my path for a reason and I need to accept them into my life and discover their purpose. This is true of people too. Many people have come into my life that is unexpected and I have wanted to understand why. What is it that they want from me? What is God’s purpose for bringing this person to me? This has all seemed easy enough…Being open to new ideas and new people, but what I now know is that I am not all that open after all. My heart and soul are caged in and under lock and key. I see things and people as possibilities, but my heart sees them as a threat. A threat to my well-being, to my sanity, to my stability. How am I to let anyone new into my life, my beliefs, my wants and desires? I am so afraid of what could harm me that I may be missing what I could be gaining. This is my dilemma. It’s not as easy as I thought to live with an open heart, an open mind. I know what I want, what I believe…true and everlasting love, a soulful connection between two people that lasts forever, eternal love and forgiveness, a desire to serve each other and to love and care for one another. A life that is full of opportunities that are ours to explore, learn and grow from. A partnership that fosters love and understanding and simply, someone to hold, love and understand me. But all of those things take time, take vulnerability (which I am not so good at). They are a part of opening your heart and soul and letting someone in. I guess this is my biggest fear. What if they get in and they don’t like what they find? Maybe I have been broken beyond repair and what’s left is unlovable? I don’t have the answers to those questions. I just know I’m afraid to find the answers. I feel my heart is being set free these days, but it’s my soul I worry most about. How does one begin to heal their soul when it has been given to another and then the dream was lost? The soul is a delicate thing which can not be mistreated. Once it has a wound, can it never be healed? I don’t know where to begin with that one. But I know that if I want to continue on, if I want to find my way again, and find what I am looking for once again, I need to find a way to heal my soul. For loving another requires both the heart and soul for it to be real and everlasting. That is what Pat taught me. He gave me his heart and soul and I gave him mine. We are one forever in time and nothing can change that. I want to feel that again. I want it all again. Is it possible? Can there be another love that is complete and pure or has my time passed and my chance gone….I don’t know. I honestly hope not.